The PubML™ eBook format is open-source and free, but using the raw format to create your own eBook requires some computer coding ability. Most writers are not interested in becoming hackers so a suite of intuitive, visual publishing tools was created. EBook production is broken into small steps and discrete sections. On-board help files document every step of the process. Publishers can create beautiful, rich media eBooks without writing a single line of computer code. Some people obsess over things like government conspiracies and genetically modified food. A few obsess over book typography. It’s bad enough in the print world, but eBook typography just plain stinks. When working with static text, a patient typographer can create beautiful text one paragraph at a time. In the ePublishing world, matters get more complicated: text resizes, fonts change, line spacing changes, and each change causes the text to reflow. Electronic typography is loaded with compromises. How do you produce eBooks that deliver a comfortable reading experience? Consistency is the number one rule. When designing a book, typographers hardly ever reach for the font, size, and spacing controls. Instead, they create specific styles for body text, headlines, subheadlines, and other common formats. Most well-typeset books contain a small handful of fonts and styles. Speaking of fonts, many of the popular ones are poorly suited to book design for a variety of reasons. On top of this, writers and publishers generally lack the design training to make effective decisions about typefaces and styles. PubML™ mimics the professional typesetting process by providing a simple dropdown list of styles in the text editor. The styles can be customized and new ones can be created for special applications, but most publishers will find everything they need in the default ones provided with the PubML™ tools. The Blue Monk was created entirely with the default styles and the PubML™ tools. With PubML™ Elegant eBook typography is built-in. One-click tools for drop caps, small caps, page breaks, chapter ornaments, and paragraph ornaments make beautiful eBook production a breeze. Consistency is the number one rule. And working with a short set of needed styles provides just that. 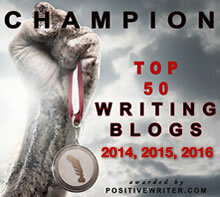 The brainchild of a book designer, teacher, author, and top-ten self-publishing blogger, The PubML™ Publishing Tools are connected to useful articles about book design, typography, writing, publishing, and eBooks. Avoid publishing scams. Be realistic with your publishing expectations. Learn the difference between vanity publishing and self-publishing, know how many spaces to type after a period, and learn what makes a great cover design. Whether you’re a first-time self-publisher or a seasoned publishing or design pro, the The PubML™ Publishing Tools offer education, inspiration, and professional results. The PubML™ Publishing Tools are now available as a plugin for the ubiquitous WordPress content management system. WordPress is free software that runs on a web hosting account. In combination with PubML™, you can use WordPress as a standalone eBook publishing system, or you can build a complete author website and marketing platform. Your eBook publishing tools will be available to you through a password-protected administration area, anywhere there’s a live Internet connection. WordPress was selected as the base technology for PubML™ because it’s easy to learn and is already in use by almost 100 million websites. With most web hosts, installing WordPress is as easy as setting up a web hosting account and clicking “Install WordPress” from inside your website control panel. For the cost of a domain name and a web hosting account (which you’ll need for book marketing anyway), you can set up the foundation of a website, a blog, and a complete eBook publishing. PubML™ – What’s it Cost? A one-year subscription to the PubML™ Publishing tools eBook rendering server costs $100 and allows you to produce up to a dozen eBooks. During the initial public beta period, the price is reduced to $80 and the subscription term will be extended to one year from the end of the public testing period. At that time licensing plans will be released that accommodate the needs of designers, small publishers, educational institutions, and enterprise-level clients. The PubML™ Publishing Tools Plugin is free to download, install, and evaluate. The unlicensed plugin is fully functional; you can create books, mange footnotes, and media, and customize styles, but you cannot preview, export, or embed an eBook without a subscription. Compare that to the cost of other web-based solutions, and to the cost of offshore eBook conversions. 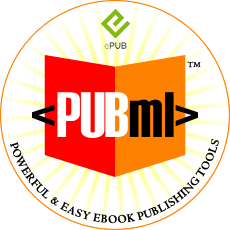 PubML™ is positioned to be affordable even to self-publishers on a budget. If your subscription expires, any books produced prior to the expiration date will continue to function. Your books are never held hostage. You will not be forced to resubscribe unless you want to update old books or create new ones. If PubML™ Books are Open-Source, Who Owns my Content? You are free to modify the appearance or functionality of the PubML™ eBook format, but all content entered and displayed by he format remains the property of its original rights-holder(s). 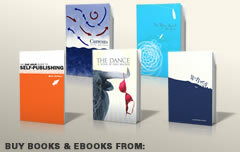 Click here for more information about the PubML™ eBook format. Click here to read and experience The Blue Monk, an IPPY-Award-winning memoir created entirely with the PubML™ Publishing Tools. It contains 350 video clips, 200 photographs, 100 photo footnotes, and 80 interactive maps—none of which clutter the text.